“Eat Pray Love” made the Indonesian island a magnet for those seeking enlightenment. But the tourism boost hasn’t spoiled its soul. Pura Ulun Danu Bratan, a Hindu temple in Bali. IT WAS PITCH BLACK — moonless through the fog, barely even morning — when we started the climb to the summit of Mount Batur, a 5,633-foot active volcano about 25 miles north of Ubud, the artsy jungle town near the center of the Indonesian island of Bali. Batur is one of Bali’s most sacred mountains, believed by Balinese Hindus to be home to Dewi Danu, the water goddess and keeper of Lake Batur, the crater lake at the mountain’s base responsible for supplying water and irrigation to much of the island. 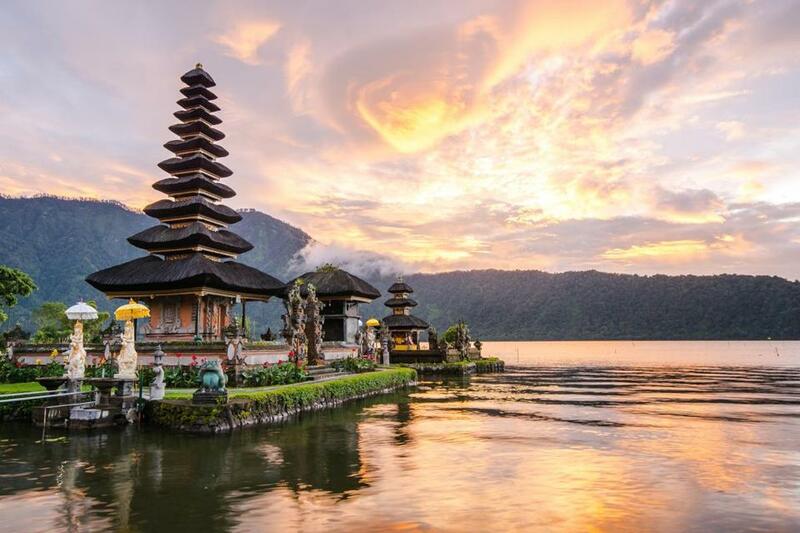 Although the rest of Indonesia is nearly 95 percent Muslim, Bali, one of the largest of the country’s 6,000 inhabited islands, is predominantly Hindu. Religion and ritual play a significant role in daily life, from canang sari — the coconut-leaf packets of incense, rice, sweets, and found objects that appear in doorways and on street corners every morning as offerings to supreme Hindu god Sang Hyang Widhi Wasa — to ceremonies marking nearly every life event. Getting to the mountain’s base that foggy July morning had itself required a bit of faith. I’d heard the pre-dawn hike up Batur could be crowded, especially during the summer high season — as many as 500 people slogging up the trail at once, (“bumper to bumper” is how one website had put it), all in pursuit of what’s supposed to be an unforgettable sunrise. Before we left home, I’d found only one operator (balitrekkingtour.com) promising a hike that went up a less traveled route and included pickup from our villa in Ubud, our own guide, and breakfast at the summit. At $60 per person, it was pricey by Balinese standards, where a beer at a “fancy” restaurant can cost you $1.50. After I’d paid my deposit online, the communication from the company had been sparse. I wouldn’t have been all that surprised if our ride hadn’t shown up, or at least not on time. We’d been warned, more than once: In Bali, promptness is happenstance; schedules are more like suggestions. But there was our driver, Gede, rolling up outside of our villa at the scheduled 2:30 a.m. in a beat-up silver Toyota. Ninety minutes later, he’d safely delivered us to the dirt parking lot at the foot of Batur, where we met our guide, also named Gede. (The Balinese name their children by order of birth; the firstborn is always Wayan, Putu, or Gede.) Gede the second led my husband and me on a two-hour hike up a trail dotted with temples (as well as monkeys). It was challenging without being stressful, and sure enough private. We saw only one other group our entire climb and, with no one in front of or behind us, had the luxury of pausing every so often to gaze out over Lake Batur, its edges only barely visible through the haze. At the top, where we finally met up with the hundreds of others who’d gone “the front way,” we were rewarded with breakfast as we awaited the rising of the sun over nearby Mount Agung. Gede talked as he cooked our eggs and toast using the steam from fissures in the side of the volcano — a gimmick to wow the tourists, perhaps, but delightful nonetheless — telling us he never tired of showing visitors this view, though he’s glad to be able to take the back route. Why didn’t the others? I asked. Our way’s more physical, he explained. Not everyone can handle it. Also, he pointed out, chewing on a piece of toast, the crowded path has fewer snakes. Mount Agung (on right) and Mount Batur rise in the distance. IF YOU’VE READ THE BOOK Eat Pray Love (or saw the Julia Roberts movie that followed), you might remember Bali as the place where writer Elizabeth Gilbert concluded her journey of post-divorce redemption, met the man who would become her second husband, and unwittingly launched a niche market for women seeking same. 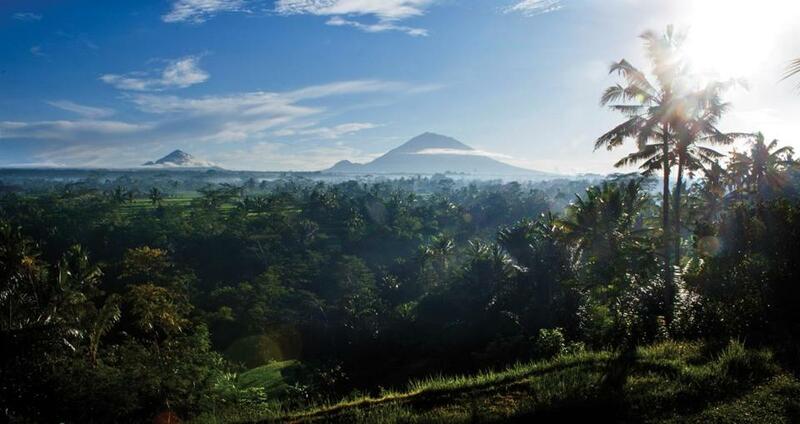 Bali, pre-Gilbert, was already a destination for spiritual seekers, as well as artists, yogis, and backpackers. In the years since the massive success of Eat Pray Love, however, “the Elizabeth Gilbert effect” has sent many more to the island and to Ubud, its cultural capital, in particular — one writer described post-Gilbert Ubud as “a sponge for soaking up lost souls.” They come seeking enlightenment and self-actualization, healing and possibility against a backdrop of exoticism doled out in the form of otherworldly beaches, sprawling rice paddies, spicy Indonesian food, colorful batik sundresses, and very friendly people. And they find all of that, as they have for decades. These days, though, they also find 1,500-thread-count sheets, plunge pools, and lots and lots of people, many of them zipping around on scooters. Ten years after the release of the book, its covers are still framed and displayed around Ubud, where a number of hotels offer Eat Pray Love packages that might include daily yoga, stops at locations around the island where the movie was filmed, and visits with some of the spiritual leaders featured in Gilbert’s book. 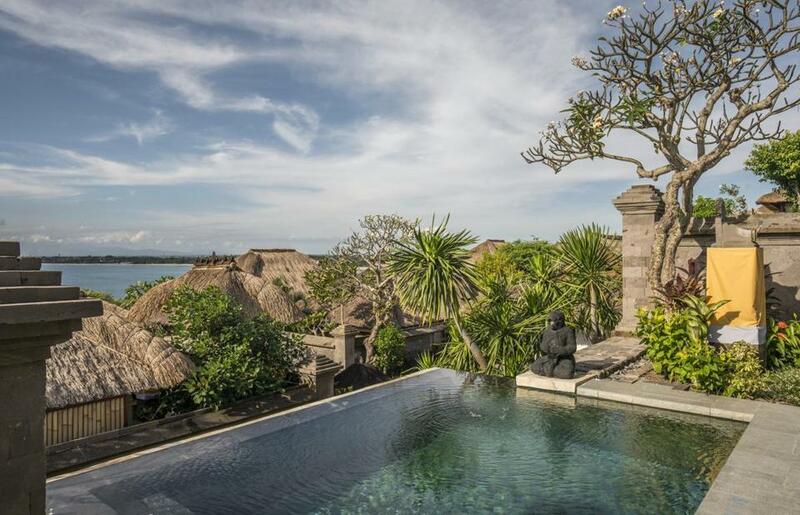 In a way, you can’t blame the islanders: Hospitality is Bali’s biggest industry. But it’s not as if there weren’t plenty of other reasons to visit Bali than to escape from somewhere, or something. Years ago, Reno was known mostly for gambling and quickie divorces. These days, you can revel in family-friendly fun, good food, and outdoorsy pursuits suited to the little city’s perfect weather. Read: Who needs a mall? Do your holiday shopping on vacation in Vermont. The upside, of course, is that all the tourists have made the place pretty tourist-friendly. In the most heavily trafficked areas of the island, most people speak at least some English; signs are in English, too. Compared with other Asian cities, it’s incredibly easy to get around, even if, like us, you don’t arrive with a set itinerary. Which I’d argue is the best way to arrive. I was turning 40, so the destination was my choice. Of the others on my wish list, southern Italy was too expensive, Tanzania required more time than we had to spare, and a road trip through Morocco was and will probably remain far more appealing to me than to my husband. It was my birthday, but I wanted something that Bob would more or less enjoy as well, though I was admittedly taking advantage of the occasion to coax him onto a long flight — as in 25 hours — at which he might otherwise balk. We had just a little over a week, wanted variety of destination (and activities) without having to move around too much, and we didn’t want to break the bank. Bali fit the bill: Though long, flights to Bali aren’t overly complicated — we made just one stop between Boston and Denpasar, Bali’s capital city. The island was concentrated but diverse. And once you’re there, it’s easy to live exceedingly well on a few hundred bucks a day. Participants in a traditional Balinese temple dance. Because our time was limited, we chose to keep to just two locations within the island: the beaches on Bali’s south side and Ubud. The idea was that we’d balance a good dose of lying around and drinks on the beach with some hiking, food, and culture. The goal of balance informed us throughout. In the coastal resort of Jimbaran Bay, we opted to stay at the Four Seasons (fourseasons.com/jimbaranbay), a sprawling property on the Indian Ocean, where the thatched-roof rooms — decked in Balinese wood and local art, and each with its own plunge pool and outdoor shower — were extravagant and tropical. The service was perfect, attentive without being overbearing, polished without being unfriendly, and our room was beautiful. We’d have been happy enough to never leave ours (though we did). However, though I’ve always found the Four Seasons consistent and reliable, especially overseas, other aspects — specifically the beachside pool and its exclusionary chair reservation policies — could use an upgrade, considering the price. Had I been given a do-over, I might have chosen one of the newer hotels, like the Mulia (themulia.com) in Nusa Dua or Sal Secret Spot (salbalihotel.com) in Uluwatu, or something a bit more isolated, like Nusa Dua’s Royal Santrian (theroyalsantrian.com), all of which came highly recommended. True to our plan, the Jimbaran part of the trip was where we swam and read, had a birthday dinner on the beach, and did some casual exploring, wandering the fishing village and taking an evening trip to Uluwatu, a surf spot at the very southern tip of Bali. Every evening just before sunset, Uluwatu Temple, one of the island’s most sacred (and beautiful) spiritual sites, hosts kecak performances. Based on the epic Hindu story of the Ramayana, the performances happen in an open-air theater, the sun dipping into the ocean providing a dramatic backdrop to an equally dramatic show of song, dance, fire, and elaborate costumes. The view from a garden villa room at the Four Seasons hotel. Throughout our trip, we heard a lot of talk of “the real Bali,” and where to find it (and where not to). The party towns of Kuta and Seminyak — a more polished version of Kuta — are not, according to locals and longtime visitors, the real Bali. But, of course, Bali, like any place, is what you make of it. For us, much of the fun was in the unplanned; in getting lost through the shops, galleries, temples, and cafes of Ubud. Safe and casual, Bali is a place you can do that. That said, a few of the better restaurants, especially in Ubud, book up quickly, so it’s advisable to reserve in advance. We had two of our best meals at farm-to-table European-Balinese fusion hot spot Locavore (www.locavore.co.id) and at Spice (spicebali.com), by American-born chef Chris Salans. Locals favor Three Monkeysm (threemonkeyscafebali.com), while expats flock to raw vegan spots Alchemy (alchemybali.com) and the Watercress Cafe (watercressbali.com). In Ubud, we had booked a moderately priced yet comfortable villa through Airbnb (airbnb.com). Renting a private residence is one way to access “the real Bali,” and economical besides. If you’re more comfortable in a hotel, there are a number of interesting and worthwhile spots to stay in Ubud, both new and established, including the Chedi Club (ghmhotels.com), the Stone House (stonehousebali.com), the Ritz-Carlton Mandapa (ritzcarlton.com/mandapa), and Bisma Eight (bisma-eight.com). Our place was in the town’s Penestanan neighborhood, an artists’ retreat literally off the beaten path. Owned by a French couple who spend half the year in Ubud and the other half in Paris, the two-bedroom Villa Alam Charm, a 10-minute walk through a forest of rice fields and scenic villas, came with a pool, a staff, and easy access to the center of Ubud — for $120 a night. Penestanan itself was a village within a village, with a number of charming boutiques, a yoga studio, Intuitive Flow (intuitiveflow.com), and a very good family-run cafe, The Yellow Flower Cafe (62-812-3889-9695). There, we got our fill of gado-gado, an Indonesian vegetable salad with eggs and tofu; rice pancakes; and $1 bottles of Bintang beer, by the end of our stay feeling almost like regulars. 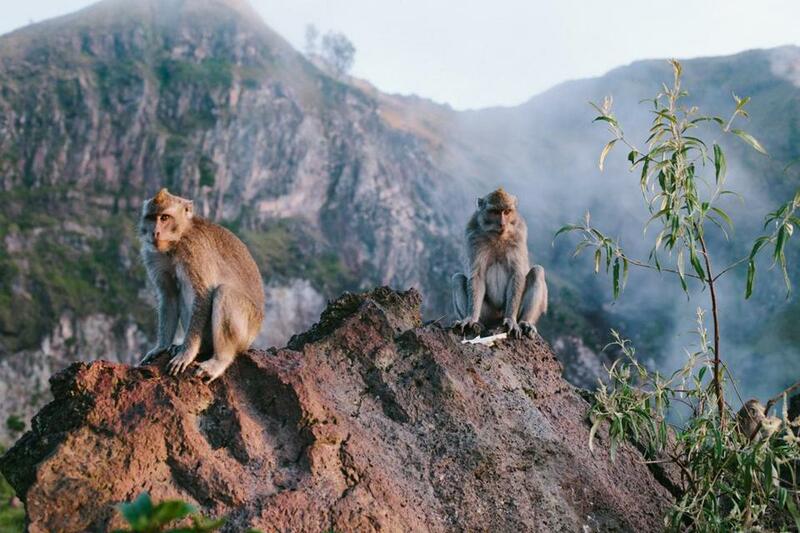 Monkeys at the top of Mount Batur. 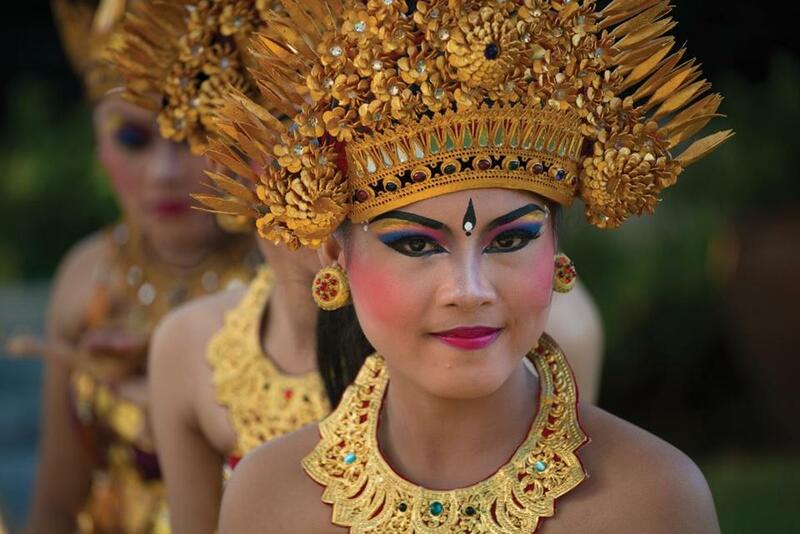 AND YET, ELIZABETH GILBERT EFFECT notwithstanding, it’s not wholly undesirable to be a tourist in Bali, and there are a few things visitors shouldn’t miss. A Balinese dance is one of them. These happen nightly at the Ubud Royal Palace and, on a fixed schedule, at the considerably less crowded Arma Museum (armabali.com). The Gianyar night market, 20-30 minutes outside of Ubud, featuring stalls of vendors selling Balinese street food, is another. Visit a water temple, but skip the more congested Tirta Empul in favor of Pesiraman Pura Kusti and Dalem Pingit, two temples on the same site about 30 minutes outside of Ubud. Our favorite tourist trap by far, though, was the Monkey Forest (monkeyforestubud.com), 27 mildly terrifying acres of nature reserve and Hindu temples that are home to 120 species of trees and more than 600 long-tailed monkeys. Secure your belongings; the monkeys will steal anything (though you can often get it back with a banana, for sale throughout the park for that very reason). Or just buy them the banana. Elizabeth Gilbert would. Who needs a mall? Do your holiday shopping on vacation in Vermont. Alyssa Giacobbe is a regular contributor to the Globe Magazine. Send comments to magazine@globe.com.